Take a look at these fun lockets you can make for the foodie in your life! South Hill Designs currently offers 16 different food themed charms that will go great in your Floating Glass Lockets! Take a look at some of the locket ideas below! 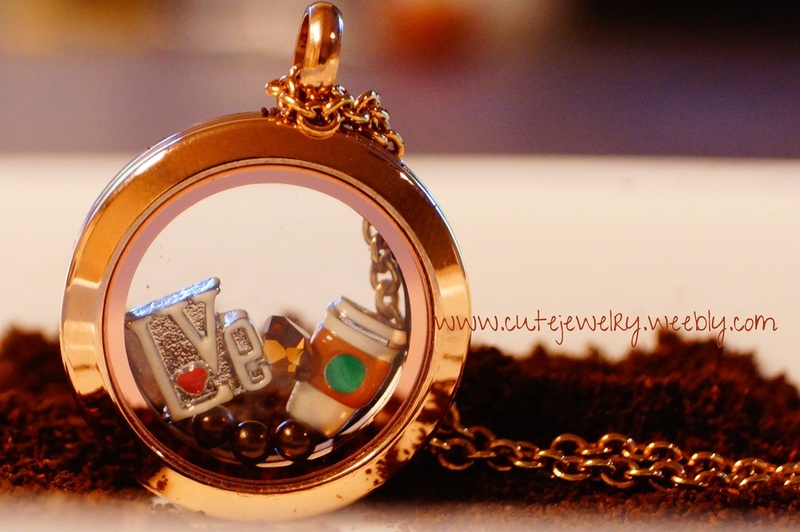 This locket is perfect for the coffee lover! This is our Medium Rose Gold Locket with a November Topaz Swarovski Crystal, the "Love" charm, the Coffee (Cup o Joe) charm, and 3 Hazelnut Pearls. This would make a great gift! This adorable locket has our Cherry Floating Charm and Cola (Coke or Pepsi) Floating Charm and a Red Swarovski Crystal. What an adorable way to show your love of cherry cola!